Originally published on Nov. 12, 2012. Upon hearing the numbers, Steve Miskin, a spokesman for Republicans in the Pennsylvania House of Representatives, brought up his party's voter-identification initiative - which was held off for this election - and said, "We believe we need to continue ensuring the integrity of the ballot." In some of those divisions, it's not only Romney supporters who are missing. Republicans in general are nearly extinct. Take North Philadelphia's 28th Ward, third division, bounded by York, 24th, and 28th Streets and Susquehanna Avenue. About 94 percent of the 633 people who live in that division are black. Seven white residents were counted in the 2010 census. In the entire 28th Ward, Romney received only 34 votes to Obama's 5,920. Although voter registration lists, which often contain outdated information, show 12 Republicans live in the ward's third division, The Inquirer was unable to find any of them by calling or visiting their homes. Four of the registered Republicans no longer lived there; four others didn't answer their doors. City Board of Elections registration data say a registered Republican used to live at 25th and York Streets, but none of the neighbors across the street Friday knew him. Cathy Santos, 56, founder of the National Alliance of Women Veterans, had one theory: "We ran him out of town!" she said and laughed. James Norris, 19, who lives down the street, is listed as a Republican in city data. But he said he's a Democrat and voted for Obama because he thinks the president will help the middle class. A few blocks away, Eric Sapp, a 42-year-old chef, looked skeptical when told that city data had him listed as a registered Republican. "I got to check on that," said Sapp, who voted for Obama. Eighteen Republicans reportedly live in the nearby 15th Division, according to city registration records. The 15th has the distinction of pitching two straight Republican shutouts - zero votes for McCain in 2008, zero for Romney on Tuesday. Oh, and 13 other city divisions did the same thing in 2008 and 2012. Three of the 15th's registered Republicans were listed as living in the same apartment, but the tenant there said he had never heard of them. The addresses of several others could not be found. On West Albert Street, Duke Dunston says he knows he's a registered Republican, but he's never voted for one. The leader of the 28th Ward is Democrat Anthony Clark, who grew up under the tutelage of the late power broker and Democratic ward leader Carol Ann Campbell. Clark is also a city commissioner, one of three elected officials who oversee Philadelphia elections. "In the African American community from 33d to 24th between Ridge and Somerset, there is a large population of Democrats and there are not many Republicans in there at all. I think it's the issues. 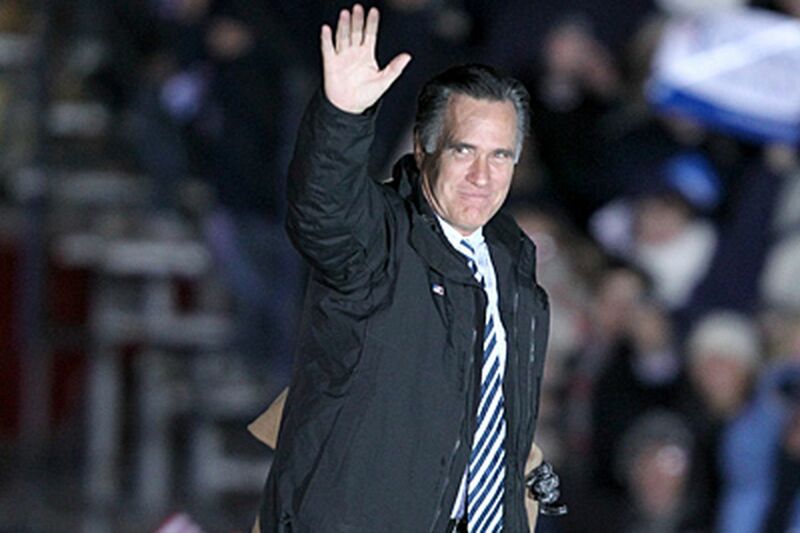 People are not feeling that Romney is in touch with them," Clark said. Despite the Democratic advantage in the 28th Ward, Clark says he also makes sure party workers are getting the vote out. "People get out, give out literature, talk to people about the issues. Also, they work the polls," Clark said. "People know them in their divisions." Clark struggled to recall anyone in his area who ever identified as a Republican. Though that is not something anyone would likely volunteer to a Democratic ward leader, Clark eventually remembered Lewis Harris, the GOP leader in the nearby 29th ward, and that rare species: an urban black Republican. Harris, in an interview, said he works for the GOP mostly because he believes city neighborhoods need attention from both parties. "I open the door to the community and let them be exposed to diversity in the political party," Harris said. "I want political community-based leverage." Harris cast his vote for Romney, but he's also an Obama fan. "I love both of those people," he said. Nationally, 93 percent of African Americans voted for Obama, according to exit polls, so it's not surprising that in some parts of Philadelphia, the president did even better than that. In the entire city, Obama got 85 percent of the vote. His worst showing was in South Philadelphia's 26th Ward. There, the president garnered 52.3 percent of the vote, compared to 46.6 percent for Romney. Paula Terreri, 57, a 26th Ward Republican who describes herself as a devout Catholic, said outside the polls on Tuesday that she voted for Romney because she opposed abortion. Many parts of Philadelphia and other big cities simply lack Republican voters, a fact of campaigning that has been true since Franklin D. Roosevelt's New Deal, Stanford University's Rodden said. In 2008, McCain got zero votes in 57 Philadelphia voting divisions. That was a big increase from 2004, when George W. Bush was blanked in just five divisions. As the first African American president, Obama held immense appeal to black voters, but skin color is only part of the story, said Mark Sawyer, a political science professor at UCLA. Previous Republican candidates, including Richard Nixon and Jack Kemp, supported affirmative action and urban development, but their party has abandoned those stances, Sawyer said. Romney's comments, including talking about people who want "more free stuff from the government" after a visit to the NAACP, only further distanced African Americans who felt the comments played to stereotypes about welfare, Sawyer said. Inquirer Staff Writer Bob Warner contributed to this report. Contact Miriam Hill at 215-854-5520, hillmb@phillynews.com, or follow @miriamhill on Twitter.